A RAST test is a type of blood test used to test for allergies. These tests, which use radioactivity, have largely been abandoned by doctors in favor of newer, more accurate forms of allergy testing, but some doctors still use them in certain cases. RAST stands for "radioallergosorbent." RAST tests have been a very safe way to test for food allergies, but they are also expensive and are not considered as accurate as food challenges. These tests were used commonly up until a few years ago when medical societies and the National Institute of Allergy and Infectious Diseases recommended that doctors switch their blood allergy testing to what's called the enzyme-linked immunosorbent assay, or ELISA, test. This allergy test doesn't use radioactivity and is more sensitive than the RAST test. However, a few allergists do still use RAST testing. Therefore, your doctor is much more likely to order ELISA testing for your allergies than RAST testing. If your doctor does recommend you undergo RAST testing, you may want to ask why that particular type of testing is preferred in your case. When Are RAST Tests Used? In the past, RAST tests were often used in combination with skin tests, or in situations when other tests are considered risky (e.g., when a patient has experienced a severe allergic reaction after eating a food). They're still used occasionally in these circumstances, even though in the vast majority of cases doctors order ELISA tests instead of RAST tests. Like the newer ELISA food allergy tests, the RAST test involves looking for a reaction to the allergen in a test tube containing blood previously drawn from the patient, not in the patient herself, so there's no risk of an adverse allergic reaction in the patient as part of the allergy test. Prick tests and food challenges do carry that risk of an adverse reaction, which is why they need to be performed under medical supervision. RAST tests are considered somewhat less sensitive than skin prick tests, although they are considered basically accurate and useful. They are valuable because they can give information about the level of allergic reaction present in a patient's blood, and they don't take much time. 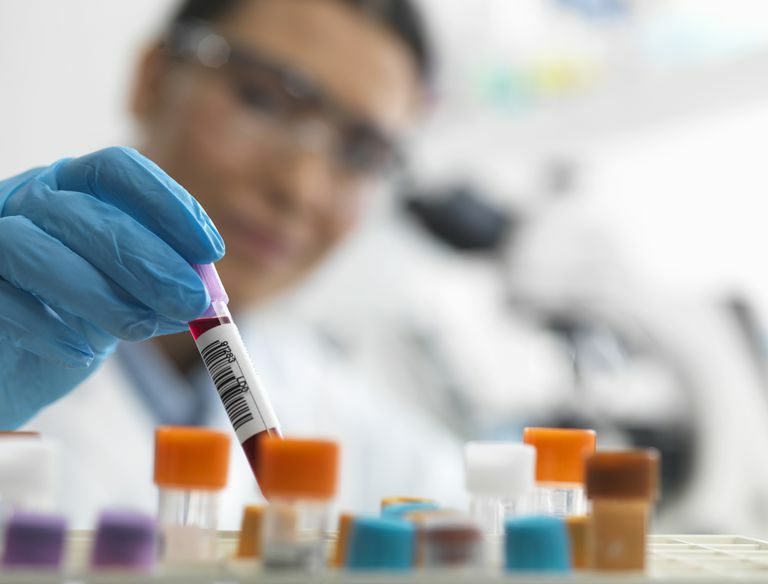 RAST tests also can be used in some circumstances where prick tests cannot—for example, it's possible to use a RAST test when the person being tested has severe eczema or persistent hives throughout the body that could throw the prick test off, leaving the prick test results in question. Neither prick tests nor RAST tests, however, are considered as accurate as "blind" food challenges, where you don't know what food you're consuming. Where possible, a positive RAST test will be often be confirmed with a food challenge. In addition, RAST tests don't exist for every potential allergen, so if an unusual allergy is suspected, your doctor may not be able to test for it using a RAST test. Your part of a RAST test will involve a simple blood draw, which can take place at your doctor's office or at a laboratory. In most cases, you'll visit a laboratory, where a technician will draw your blood for the test. Once you've provided your blood sample, technicians at the lab will add the suspected allergen to your drawn blood and see how much of that allergen attaches to immunoglobulin E (IgE) in your blood. IgE is the part of your immune system responsible for allergic reactions, and there's a slightly different form of IgE for every allergen. Next, the lab technician will wash the blood so that only the allergen and the allergen-specific IgE remain. Finally, the technician will add a radioactive serum to the mix, which will enable the concentration of allergen-specific IgE in the patient's blood to be measured. A higher concentration of allergen-specific IgE in the blood sample means a higher chance of allergy to that substance. Most allergists are using more sensitive ELISA tests, rather than the older, radioactive RAST tests, to test your blood for allergies. However, in some cases—for example, if your doctor believes performing the other types of allergy tests might be risky for you—your doctor might prefer a RAST test over other types of testing. If you're not certain what test your doctor has ordered or the reasoning behind the test ordered, ask your doctor for an explanation. Chinoy, Birjis, Edgar Yee & Sami L. Bahna. Skin Testing Versus Radioallergosorbent Testing for Indoor Allergens. Clinical and Molecular Allergy April 15 2005 3(4). 22 Jul 2007. Food Allergy Research and Education. Blood Tests fact sheet. Kemp, Stephen F., and Richard F. Lockey, eds. Diagnostic Testing of Allergic Disease. New York: Marcel Dekker, Inc., 2000. pp. 12, 119, 213-15. Virella, Gabriel, ed. Medical Immunology. 5th ed. New York: Marcel Dekker, Inc., 2001. pp. 414-16. How Do I Interpret My RAST Test Results? Do You Really Have a Food Allergy or Is It Something Else?